For 17 years it has been my honor to be the GM at what has been called "the best tennis club this side of the Mississippi". 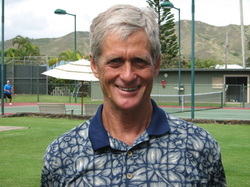 The club has never been in better condition that it is today and we owe this all to an amazingly talented team that works, mostly behind the scenes, to make sure that KRC is Hawaii's premier tennis club. We are in the process of updating this page. Please come back in a week and then you will be introduced to Team KRC.